Federal railroad safety investigators concluded last month that a culture of safety lapses at Amtrak is what caused a collision between a passenger train and a backhoe that killed two Amtrak workers and injured 39 outside Philadelphia in April 2016. Federal investigators determined that Amtrak workers at the site lacked critical safety equipment that the railroad required that would have steered the train around repair work being done on tracks. The NTSB also found 20 cultural safety lapses, including an absence of a job briefing at the work site before high-speed trains were allowed to get back on the track, were among the unsafe issues that led to the fatal train crash. The NTSB also found that Amtrak had tried to enforce safety rules but that Amtrak management had such a poor relationship with unions that workers were not reporting safety violations. The case involved an Amtrak passenger train that hit a backhoe at 100 MPH at 7:50 AM near Chester, Pennsylvania. The crash derailed the train and obliterated the backhoe. The accident killed the backhoe operator and the track supervisor. Also, 39 people were injured on the train. The train crash caused $2.5 million in damage. 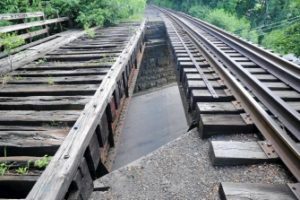 Safety board investigators found that one of four tracks in that area had been closed for 55 hours for repairs. But the track next to it, which was blocked by the backhoe, was only shut down temporarily during each worker shift and was left open by accident for passenger train traffic. The night foreman lifted the track closure at 7:29 AM as the backhoe was still on the track, but the day foreman failed to restore the track closure on a call minutes later. This allowed the fatal crash about 20 minutes later. Amtrak does have an automatic braking system installed that is supposed to avoid train crashes and derailments. 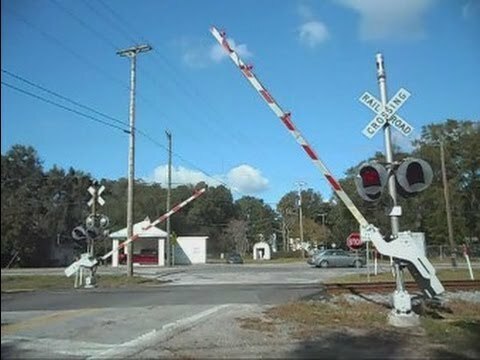 Also, workers are equipped with supplemental shunting devices that can be placed on the track near construction sites that can change track signals to tell train engineers when tracks are closed. But workers at the site of the fatal wreck did not have shunts. Our train accident and derailment attorneys in Virginia are dismayed to read of the many safety lapses at Amtrak that led to a preventable train derailment. It is vital for railroads, including those run by the US government, to strictly obey safety rules. When railroads fail to do so, the results can be devastating in terms of deaths and personal injuries. Those injured and the grieving families involved in this terrible accident should remember that they have the right to seek compensation in civil court through either a personal injury or wrongful death lawsuit. US Congress will be investigating the safety of freight trains that are growing increasingly longer operated by CSX, Union Pacific, and other major railroads to increase profitability, according to the US Government Accountability Office. As of 2017, train length is unregulated in the United States. Any effort to add rules to restrict train length will face strong railroad industry opposition because railroads like to increase the length of trains to increase profit margins; longer trains mean more efficient fuel use, better use of locomotive power and more rail cars filled with product without needing more crew. In addition to the study being conducted by GAO, the Federal Railroad Administration is increasing its inspection presence at CSX railyards. An FRA spokesman did not explain the concerns over the length of CSX trains, but he noted that increased inspections could be due to complaints about safety and a large number of railroad accidents in recent months. The spokesman noted this month that there have been more accidents involving long freight trains that are being investigated by the FRA and NTSB. 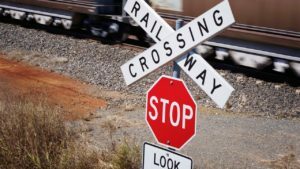 Members of Congress reported this year that they have received more complaints about safety at railroad crossings, as well as complaints about traffic jams at crossings. CSX told investors in October 2017 that its freight trains are 400 feet longer since March. That is when the new CEO launched a new plan to increase profits and streamline rail operations. However, FRA data shows that train accidents at CSX and incidents per miles traveled are at the highest in 10 years. Concerns about safety have increased since a fiery derailment of a 180 car CSX freight train in Pennsylvania in August 2017. There also was a derailment on Nov. 27 of a CSX train in Florida that spilled molten sulfur. CSX employees and unions have argued that many train conductors do not have the experience to safely operate such long trains. Our railroad accident personal injury attorneys in Virginia are concerned about the increasing length of freight trains. The longer trains are, the more likely it is that a derailment could occur. Also, a longer and heavier train will take much longer to stop in case of an emergency. It is very common for railroads to push the rules to increase profits, and they are known to cut corners regarding safety if it means more money for shareholders. If you have been injured in a railroad accident, be sure to read our books on railroad accidents and railroad worker accidents. You may be entitled to compensation when a railroad is negligent and causes your injuries in an accident.